Abstract and pixeled graphics, up-tempo and hyper music. 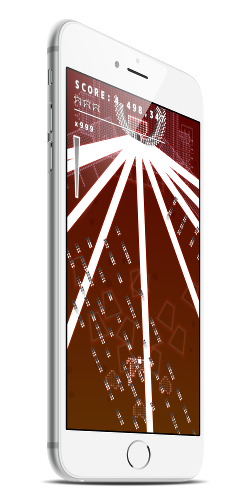 This is a real vertically scrolling 2D shooter game. Dodge! Shoot! This is the BULLET-HELL!